Topical steroids have been advocated as an effective alternative treatment to circumcision in boys with phimosis. We evaluated the effectiveness of topical steroid therapy compared to a placebo neutral cream in 240 patients with phimosis. A prospective study was carried out over a 24-months period, on an out-patient basis on two groups of patients with phimosis. One-hundred twenty patients applied a steroid cream twice a day for 4 weeks, and another group of 120 pts used a placebo cream twice a day for 4 weeks. Patients were assigned to either group by a computer-generated random choice. All patients in our series completed the two treatment periods without interruption. At a median follow-up of 20 months (6–30 months) therapeutic success was obtained in 43.75% (99/240) of cases, independently of the protocol. In particular, therapeutic success was obtained in 65.8% (79/120) of cases in the steroids group and in 16.6% (20/120) of cases in the placebo group, the difference being statistically significant (P < 0.0001, Mann–Withney test). 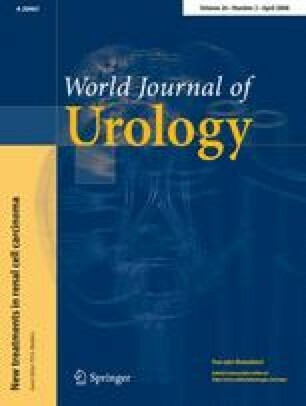 Our study shows that topical steroids represent a good alternative to surgery in case of phimosis. Steroid therapy using monometasone furoate 0.1% in our series gave better results that placebo with an overall efficacy of 65.8%. In patients where a phimotic ring persist after steroid therapy, circumcision is mandatory.